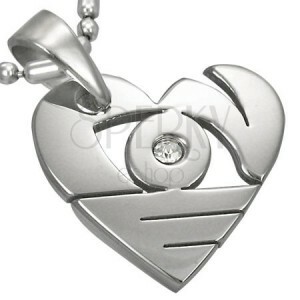 Pendant made of 316L steel, asymmetrically cutout heart with embedded round zircon in clear colour. 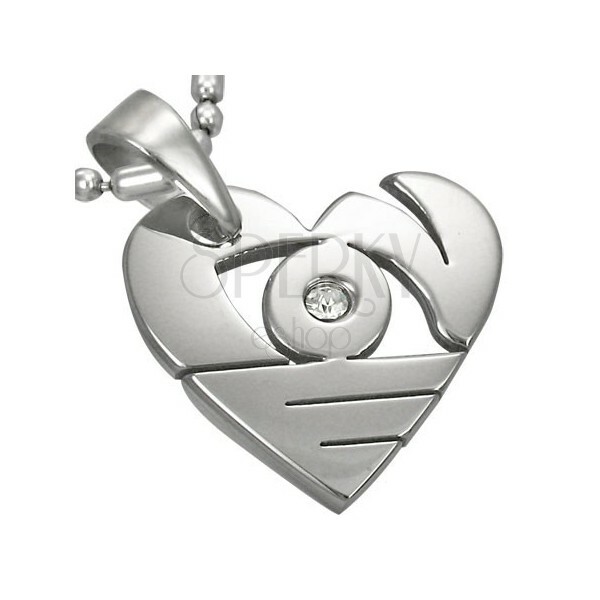 Steel pendant in silver hue in shape of heart, decorated with asymmetric cutouts and a sparkly round zircon. The surface of the heart is shiny mirror-like and smooth. The pendant clasp is elongated and widened in the top part.